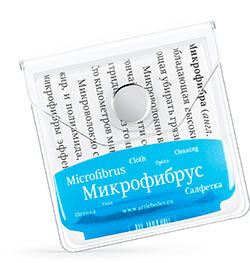 Microfibrus Tekstus is a soft cloth for wiping lenses, glass, touch screens and other delicate surfaces. The cloth is made of microfiber which absorbs grease, but does not fade, tear or leave lint. Machine washable.